Gold has been consistently reaching record highs in the recent past. This makes it a great time for you to cash in those treasures in your drawers! You could have thousands of dollars in broken or unused pieces of jewelry laying around. Bring them in today to find out! Corona Coin is proud to be the area’s highest paying buyer. 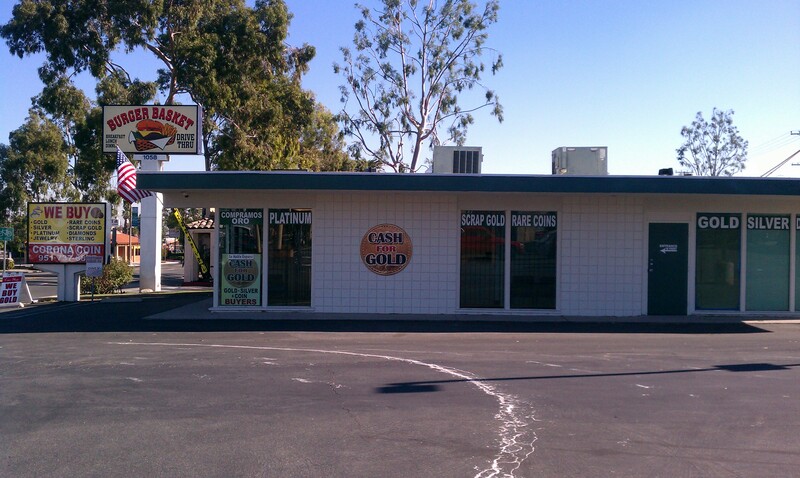 We buy all forms of gold, silver and platinum. This includes everything from broken scrap jewelry to estate and contemporary jewelry. We also buy and sell gold, silver and platinum bullion. We also buy and sell collector coins and currency. If you are looking for a coin to add to your collection, there is a very good chance that we have it. If by chance we do not have it, we can probably get it for you. Come in today and see our fully remodeled facility next door to Burger Basket, on the corner of 6th St and Lincoln Ave.
We have privacy booths for your security. If you have any questions feel free to call us at (951) 737-6877.